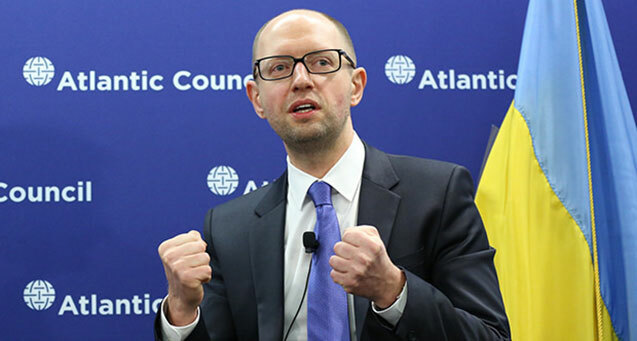 The economic plans of Prime Minister Arseniy Yatsenyuk and his government in Ukraine will amount less to austerity than to economic evisceration. The Economist published a chart in March that placed Ukraine’s per capita GDP in 2013 (1992=100) at a level of about 45, compared with Russia at 130 and Belarus at 260. Something else has obviously been at work in Ukraine apart from the normal mayhem that accompanies a shift from bureaucratized command planning to oligarchic capitalism. In Ukraine, I argue, a major additional problem has to do with the effects of putting a national boundary through the middle of tightly integrated productive complexes. Soviet industry, it’s often forgotten, was structured on the basis that it was going to be centrally planned. Enterprises often had only one practicable supplier of particular inputs. The borders of the various Soviet republics weren’t allowed to get in the way of rational planning decisions. Countless enterprises depended on materials or components from across republican boundaries. That wasn’t a problem so long as it was all the USSR, with a single planning system. From 1991, though, the borders acquired meaning, and national trade policies added a big complication wherever production complexes sat astride the frontiers. Ukraine was home to some of the most heavily industrialized regions of the USSR, so this problem loomed especially large. A major proportion of Ukrainian industry could only function through rejigging the old planning relationships into new forms of international trade with Russia and other post-Soviet partners. Sourcing inputs from the West tended not to be an option; numerous technical standards, for one thing, were different. In its essentials, the above pattern persists to this day. Currently, about 40 percent of Ukraine’s trade is conducted with other post-Soviet countries, which take more than 60 percent of Ukrainian exports. In these circumstances, any kind of ideologically-driven “turn to the West” by Ukraine has to be extraordinarily costly, leaving numerous enterprises economically stranded and forcing them to shut down. The fact that Ukraine’s new rulers are intent on just such a turn prompts a comparison with the economic policies followed in Belarus, Ukraine’s northern neighbor. Belarus President Aleksandr Lukashenko is an unpleasant character in many ways, but he hasn’t been seduced by the supposed magic of privatizing industry and realigning trade toward the European Union. Something like 80 percent of large-scale industry in Belarus remains in state hands. Ties with Russian suppliers and customers have been preserved and enhanced. The results, noted above, have been spectacularly better than in Ukraine. Rather than drawing the obvious conclusions, key sections of the Ukrainian intelligentsia and political elite – besotted with capitalist ideology – have decided that the real problem is that realignment toward the West hasn’t gone far enough. Economic aid from Russia, along with entry into the Russian-led Customs Union, has been rejected. The choice by Ukraine’s new leaders has been to move toward a free-trade pact with the EU, and an agreement is due to be signed following the presidential election of May 25. But if Ukraine is to have free trade with the EU, then various free trade arrangements that have existed with Russia and Belarus will have to be terminated. Otherwise, goods from these countries are certain to be rebranded in Ukraine and re-exported duty-free to the EU, which is something that EU officials have made clear they won’t tolerate. For that matter, the Russians aren’t about to allow duty-free entry of EU goods to their territory either. So what will the effects be of the extensive reorientation of Ukraine’s trade toward the EU, as is promised to begin later this year? Agricultural exports will benefit from expanded markets, and this will have a certain impact in Ukraine’s western provinces, where agriculture is relatively more important. But Ukraine is mainly an urban, industrial country, and the effects on industry will be cataclysmic. The prospects are especially grim for the eastern regions where the country’s heavy industry is concentrated. New tariff barriers are likely to break the vital production nexus with Russian industry more or less definitively, leaving numerous Ukrainian enterprises to be sold for scrap. Ukrainian manufactured goods, which until now have been competitive in other post-Soviet countries, will find few buyers in the EU. Forced to compete directly with more sophisticated, higher-quality EU offerings, they’ll find few buyers in Ukraine either. More enterprises will be driven into bankruptcy as a result. The notion that EU capital will flood into Ukraine, buying up distressed factories and modernizing them to produce for the European market, is fantastical. Western corporations that want cheap, skilled labor can find it elsewhere in Eastern Europe, in countries where the travails of the shift to capitalism have been overcome to a much greater degree and where key industrial regions aren’t gripped by insurgency. Then there’s the question of natural gas supplies. Ukraine relies on Russia for about 50 percent of the gas it uses and it has run up a gas bill to its neighbor amounting to some $2.2 billion. When former President Yanukovich was forced by his domestic opponents last December to reject $15 billion in Russian aid in favor of a much less generous deal with the EU, he also passed up the offer of a 40 percent discount on the price of Russian gas. Now the Russians are demanding that the gas bill be paid. Further deliveries are only to be made if money is received in advance, and Russian President Putin has warned that unless conditions for paying off the arrears are met, future deliveries will be reduced or halted. Without Russian gas, Ukrainian cities will freeze in the bitter winters, and many industrial plants will be unable to operate. All in all, the “turn to the West” is shaping up as astoundingly wrong-headed. Together with the effects of austerity, which will sharply reduce effective demand from the population and cripple industry still further, this move by the new Ukrainian rulers promises to deindustrialize their country and turn it into an agricultural and raw materials appendage of the EU. Facing the worst effects are the eastern provinces, particularly the Ukrainian section of the Donbass coal and steel region, which depends heavily on exports of steel to Russia. The people of Donetsk and Lugansk provinces aren’t stupid, and have a good sense of what’s in store for them. Rather than waiting for it to happen, they’re rising in revolt first. Unlike Kiev’s Maidan demonstrators – middle-class eaters of Victoria Nuland’s* cookies – the people on the barricades in Donetsk and Slavyansk are of a solidly proletarian cast. The struggle there has a very important class dimension, exemplified now in the decision by groups of coal miners to join in the fight. This class aspect of the conflict will, I think, come increasingly to the fore. Renfrey Clarke is an Australian journalist, translator and left activist. Throughout the 1990s he reported from Moscow for Green Left Weekly, of Sydney.